Interested in joining a young research group conducting cutting-edge research at a World Top 50 university? We are always looking for people who shar our passion for science and engineering. Please have a read of the 'Further Information' section below for any current vacancies and PhD projects currently available and contact Dr Tudela-Montes if you want to discuss any potential opportunities. Applied Electrochemistry has always been at the core of Dr Ignacio Tudela-Montes' work since his early research days. Whether it was the development of novel sonoelectrochemical methods to remediate polluted drinking water, the manufacture of anode materials for electrochemical processes, the design and optimisation of electrochemical reactors for different applications or the development of novel tribological materials and the evaluation of their corrosion performance in non-conductive oils, Electrochemistry has always been an intrinsic part of his research career. Dr Tudela-Montes started his research career in April 2007 as part of the former NDTESB Research Group (New Technological Developments in Electrochemistry: Sonoelectrochemistry and Bioelectrochemistry) under the direction of late Dr José González-García at the University of Alicante, Spain, where he was at the core of the research performed on the design and development of electrochemical and sonoelectrochemical processes for different applications. In June 2011, Dr Tudela-Montes joined Daido Metal – European Technical Centre UK (ETC UK) as a Materials Researcher involved in a Knowledge Transfer Partnership (KTP) project between Coventry University and Daido Industrial Bearings Europe (UK subsidiary of Daido Metal) aiming at the development of novel materials for engine bearing applications. During the KTP he also started his PhD degree, fully sponsored by Daido Metal, which he completed in June 2015. After completing his PhD, he became Senior Materials Researcher at Daido Metal – ETC UK where he led the team responsible for the development of novel material solutions and manufacturing processes for engine bearing and other tribological applications ranging from crankshaft bearings for the automotive industry to large bearings for industrial, power generation and marine engines. 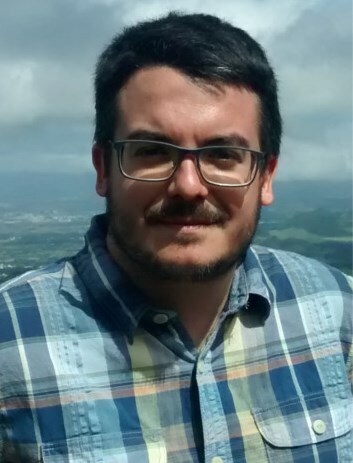 Since July 2018, Dr Tudela-Montes leads research in the area of Electrochemical Engineering as part of the Institute for Materials and Processes within the School of Engineering at the University of Edinburgh. He is also founding lecturer of Electrochemical Engineering within Chemical Engineering, actively driving forward educational and mentoring activities for Chemical Engineering students within the School of Engineering. Optimised design of electrochemical reactors: CFD/FEM modelling and optimisation including electrode processes (potential applications: fuel cells, batteries, electrolysers, etc.). - Novel electrode materials for electrochemical applications: metal, metal/polymer, piezoelectric, (potential applications: fuel cells, batteries, electrochemical reduction of CO2, etc.). - Functional materials by electrochemical methods: coatings, thin films, (potential applications: engineering applications requiring enhanced mechanical properties/performance). New electrochemical applications: combination of electrochemistry and other technologies (e.g. ultrasound: sonoelectrochemistry), green synthesis, environmental applications, etc. - Optimised design of sonochemical reactors: FEM simulation of the acoustic pressure and reactor wall vibration. - Novel ways of using acoustic cavitation in chemical processes. The study of friction, wear and lubrication phenomena is of inherent interest in engineering. My main interest in the field is the development of novel functional coatings with enhanced resistance to wear and higher lubricity. This includes the manufacturing of metallic composite coatings with functional particles for different applications. - PhD project: Fabrication of electromechanically active electrodes for miniaturised electrochemical devices (self-funded, information about scholarship opportunities below). - PhD project: Ammonia-based ionic liquids for chemical conversion of CO2 (self-funded, information about scholarship opportunities below). - PhD project: Electrochemical preparation of electrocatalysts for the electrochemical conversion of CO2 (self-funded, information about potential scholarship opportunities below). We are always looking for outstanding prospective students who are interested in conducting a PhD project in our research areas of interest. Self-funded students are welcome to contact Dr Tudela-Montes and discuss potential PhD project topics (information on entry requiremenets, fees and costs is available here). Outstanding applicants with a very strong academic background can also consider applying for one of the several scholarships that may be available for funding PhD studies (please see list with examples below). Exceptional candidates may also be considered for full PhD scholarships from the School of Engineering.